The first clause of Magna Carta was of the utmost importance. It granted to the English Church its freedom and its rights in perpetuity. Its provisions were made at a time in which the Church, through the personalities, policies and principles of its leaders, had posed a most serious threat to the authority of the English Crown and to King John in particular. So, why did John make this gift? What did the provisions of the clause really mean? Were they upheld by King John’s successors as the century wore on? This talk will explain. Dr Elizabeth Gemmill is a University Lecturer in Local History and Director of the Weekly Class Programme. India produced the largest volunteer army in world history for the Second World War: 2.5 million men. Yasmin Khan presents the hidden and sometimes overlooked history of India at war, and shows how the war effort introduced seismic processes of economic, cultural and social change. Dr Yasmin Khan is a University Lecturer in 18th to early 20th century British History. Middle Eastern Christianity, particularly in Iraq, is in the news for all the wrong reasons. But how many people really know who these Christians are? Rev'd Canon Dr Robin Gibbons works, researches and explores all aspects of Eastern Christianity. To help introduce us to their belief and culture he will share some of the visual aspects of their faith through art and architecture. The Rev'd Canon Dr Robin Gibbons is Director of Studies in Theology and Religious Studies. Shakespeare's England was a world of order and hierarchy. Such was the theory, anyway. The reality was very different. This lecture peels back the facade of Elizabethan and Jacobean England, and finds that the Bard's plays were written against a backdrop of very real disorder, discontent, misbehaviour, and cross-dressing. Dr Healey is a specialist in Tudor and Stuart history. He has spoken about historical topics on Radio 3, and been filmed for BBC1's Who Do You Think You Are?. Biomimetics is the process of generating new technical solutions based on inspiration from biology. This talk will focus on how research on animals may be utilised in innovative technology and will include numerous examples such as how bird and insect flight is used in bio-inspired micro-air vehicles, how gecko and frog locomotion is used in generating stronger adhesives and how spider and moth larvae silk is used to inspire new materials. The talk will be followed by an overview of the Department’s courses in biology. Dr Thomas Hesselberg is Director of Studies for Biological Sciences. Why should we study as well as read literature? What can study add to reading? What is involved in 'Reading English', whether for a degree, a different qualification, or pleasure? Dr Sandie Byrne is a University Lecturer in Literature & Creative Writing. What kind of skills do you need to study effectively as a part-time student in our department? Interested in how to manage your time, or how to take notes? Come along and learn about the skills you already have, and how you might improve your study skills to make the most of the courses we offer. 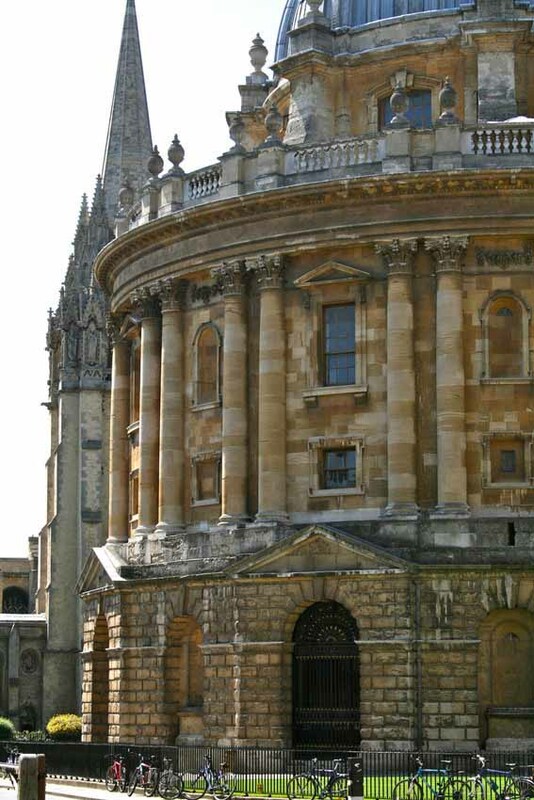 Oxford Continuing Education hosts half-day events, open evenings and afternoons and lectures aimed at new students.